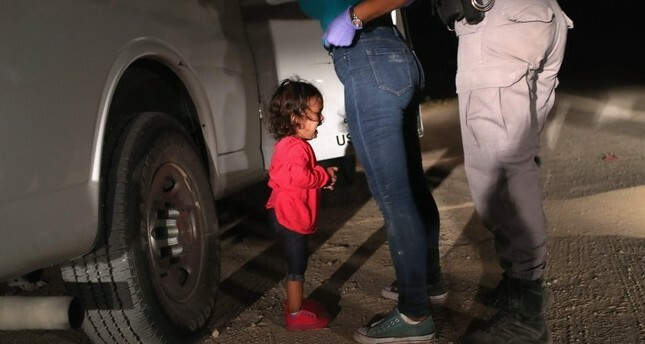 The haunting image of a little girl crying helplessly as she and her mother are taken into custody by U.S. border officials Thursday won the prestigious World Press Photo Award. 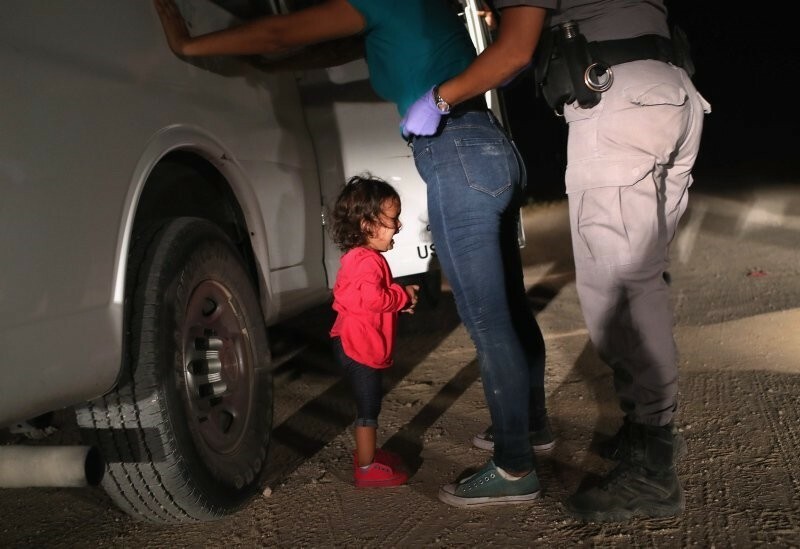 Judges said veteran Getty photographer John Moore's picture taken after Honduran mother Sandra Sanchez and her daughter Yanela illegally crossed the U.S.-Mexico border last year showed "a different kind of violence that is psychological". U.S. Customs and Border Protection officials later said Yanela and her mom were not among those separated, but the public furore "resulted in President Donald Trump reversing the policy in June last year," the judges said. "I could see the fear on their faces, in their eyes," Moore told the U.S.-based National Public Radio broadcaster in an interview shortly afterwards. Judges chose Dutch-Swedish photographer Pieter Ten Hoopen's images of the 2018 mass-migrant caravan to the U.S. border as its winner in the "World Press Photo Story of the Year Award". Ten Hoopen's pictures, which show families and children as they made their way from Honduras in mid-October to the U.S. border "showed a high sense of dignity," one of the judges said. Smialowski and Pardo came third in their respective categories with a picture of Trump leading French President Emmanuel Macron by the hand and immigrants climbing over the U.S.-Mexico border fence respectively.